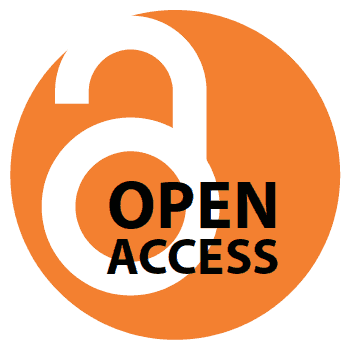 During the month of Open Access week (October 22-28, 2018) we will be highlighting a number of guest posts from University of Iowa Faculty and Staff who have personal experience making their work Open Access. We appreciate their contributions. 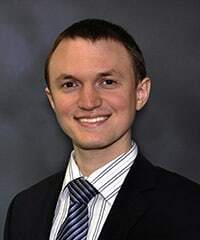 The fourth post is by Alex C. Essenmacher, MD, Diagnostic Radiology. Medical knowledge has proliferated rapidly in recent decades and seems to be accelerating, and with increasingly subspecialized knowledge there are constant changes in treatments and practice. The newest discoveries published don’t tend to change the wider practice of medicine right away; understandably, more certainty about the effectiveness and safety of a change in practice needs to be established before it reaches a patient. Review articles, meta-analyses, and comparative studies that follow shortly after a new discovery might bring about that change, rendering approaches recently taught in medical school obsolete. There is an increased drive from national medical leadership to teach and encourage good scholarship in physicians. This push manifests as statistics questions and sample literature comprehension on medical board examinations and required scholarship projects from residents and fellows. In graduate medical education, advancement is generally less dependent on publications than non-clinical, university academics, but residents in medical education programs may pursue publication as a way to fulfill the scholarly project mandated by the American College of Graduate Medical Education. In the internet age, publication in many varieties, including academia, differs from the old model. Journals can make content available digitally as soon as it is approved and reach a larger audience even with fewer printed copies circulating. Despite the plethora of venues, publishing a manuscript can remain difficult because the most established journals in a field are often in environments of increasing complexity and subspecialization. Clinical residents have the primary responsibility of mastering patient care rather than become researchers, so the time to complete large projects may not be available to them. Physicians and others in the healthcare field communicate not just in research and review articles but often in case reports – detailed descriptions of one patient and the disease diagnosis, course, and outcome – that is usually reported for novelty or educational value. It is a way to exchange useful knowledge in the confines of the academic setting that doesn’t require long data acquisition periods and a statistician. The most recognized journals in medical fields, because of the increased complexity of the science, often forgo consideration of case reports. There is still a home for publishing medical case reports, but now it is often in a smaller journal, usually newer, sometimes online-only, and disproportionately utilizing an open-access model. The University of Iowa Open Access Fund makes it easier to share insightful cases from the university hospital with the world, and the process is quick and easy!